Poor ol’ Punkinhead was out trick or treating last night but managed to scare most doors to close too quickly to get much in the way of treats. 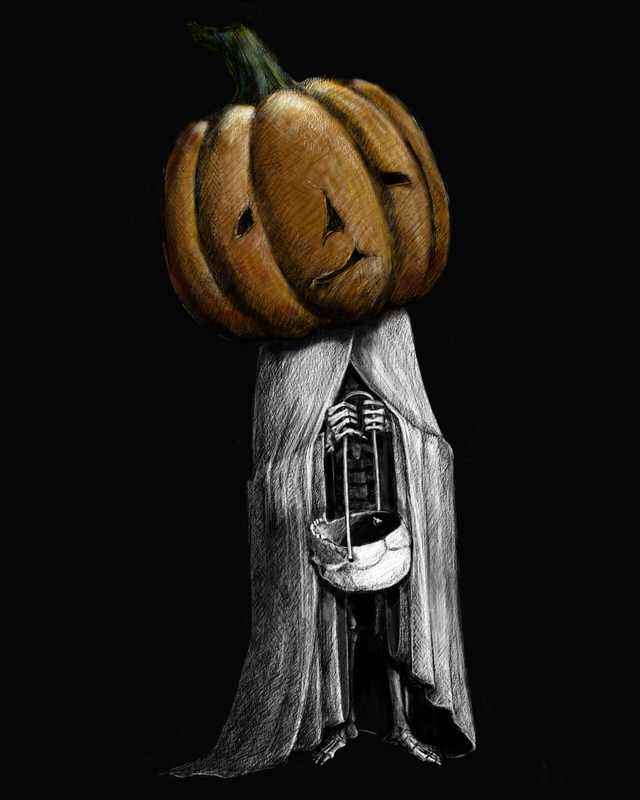 Poor ol’ Punkinhead still wishes everyone had a Happy Halloween. This entry was posted on Saturday, November 1st, 2014 at 2:49 pm	and tagged with art, drawing, halloween, illustration and posted in art. You can follow any responses to this entry through the RSS 2.0 feed.